It is really a dream come true for our Danielle Roe Events team to work with awesome vendors for any event, including a stunning photo shoot at an incredible hotel in downtown Sacramento. Remember when we shared this behind-the-scenes video from our Modern Love editorial feature with Real Weddings Magazine at the enviable Kimpton Sawyer Hotel? (And truth be told, we really do love to embrace this modern trend that is appearing everywhere!) Each of our #friendors vendors from this day truly pushed the envelope in terms of providing fresh and completely modern details and decor to match the modern ambiance of the Kimpton Sawyer. As we designed, styled and coordinated this shoot we established a color palette or whites, black, and marble with touches of gold. Accents such as geometric vases and gold candlesticks paired beautifully with touches of marble throughout the design. Our model absolutely rocked it with every dress and jewelry combination and truly represented as a strong, confident modern woman. You can view the whole feature from the Winter/Spring 2018 Real Weddings Magazine issue here. 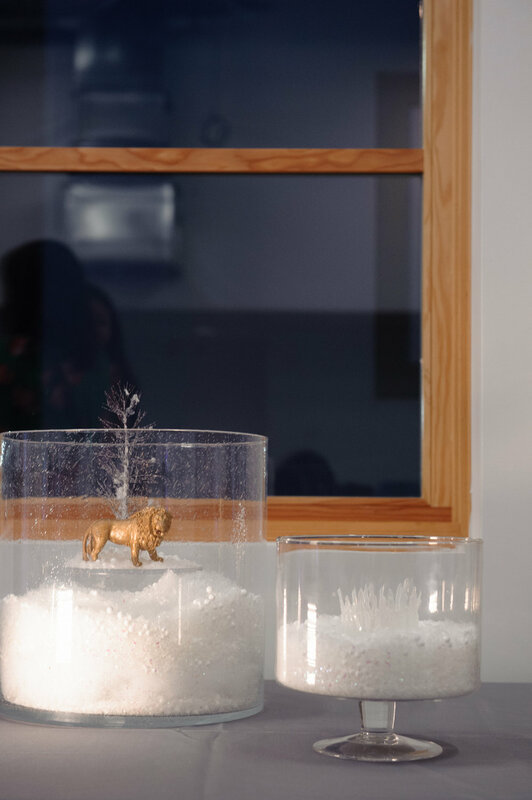 And be sure to keep an eye out for the geode decor included in this shoot and the marble frosted cakes! 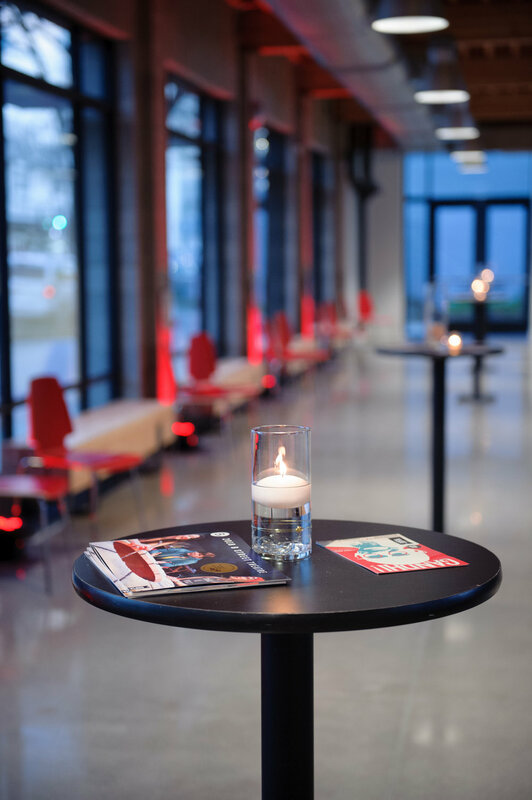 Showcasing twelve amazing theater shows for B Street Theater and coordinating a grand opening event at the beautiful new Sofia Tsakopoulos Center for the Arts in midtown Sacramento had our Danielle Roe Events team thinking #NBD. 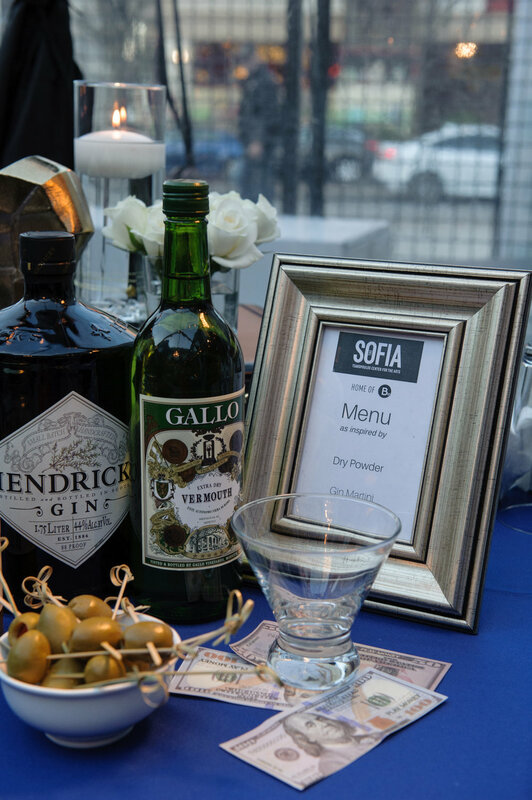 In real life though, our team was working in dream-team mode for this awesome client and the opening gala for their new state-of-the-art facility known simply as The Sofia. Staged, literally, in the heart of Midtown Sacramento, this beautiful new theater houses two main stages full of all the most modern amenities and newest technologies, as well as a welcoming spacious lobby and adjoining courtyard, with ample additional rooms for the theater company to conduct rehearsals and arrange office space. 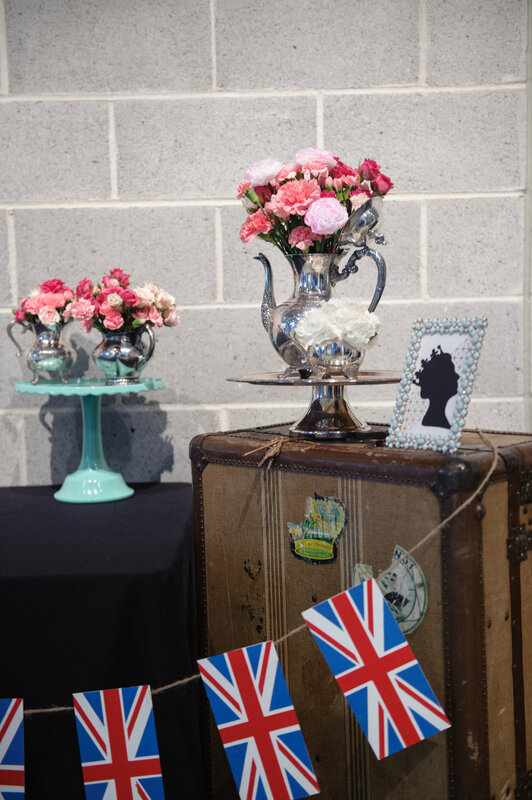 To highlight each of the 12 stage shows scheduled by B Street, our team worked with a few amazing #friendors to coordinate decor, floral, food, and entertainment. 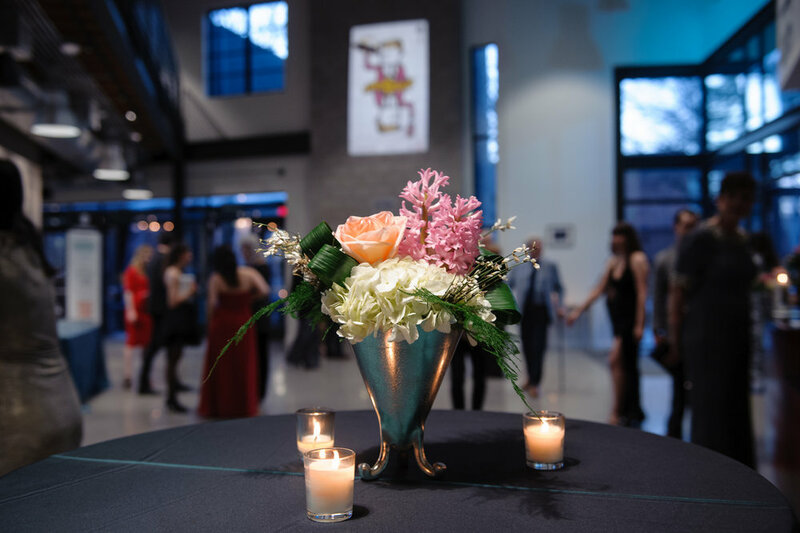 Luxury linens draped tables in shades of aqua throughout each of the rooms, brought a sense of cohesion and flow to The Sofia space, and allowed for thematic decor and food stations to be highlighted in various rooms throughout the gala event. A band rocking out to air guitar, a pirate chest full of bounty, a mini putting green, live acoustic guitar, jell-stuffed doughnut holes, and tag art were just a few highlights from the evening. 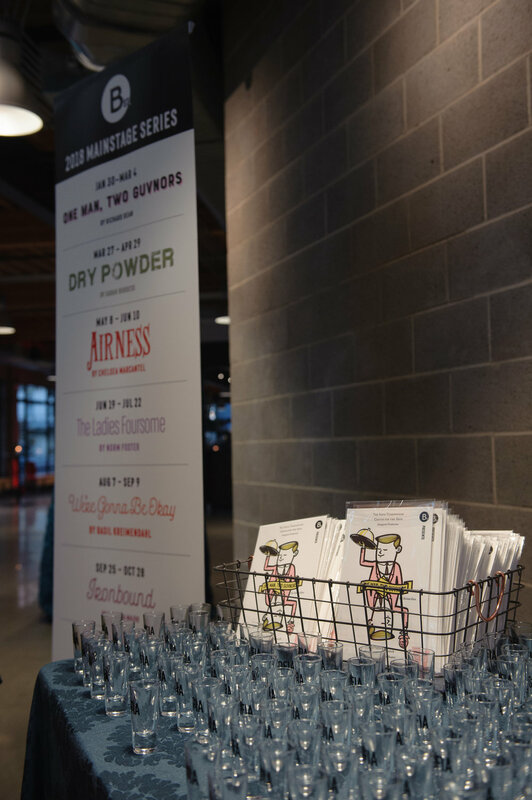 Take a look at the pictures to see how each of the twelve B Street Theater stage performances for this year were highlighted during The Sofia's grand opening gala. 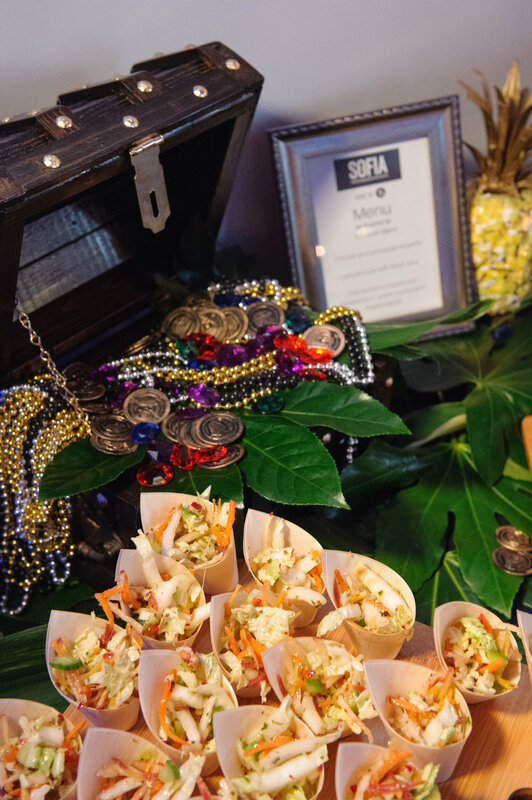 Click through this slideshow to view the rest of the fun from The Sofia's grand opening!